Nice apartment located in Calle Valencia, one step away from the tourist and commercial area of Cambrils Puerto, 100 meters from the port and 200 meters from the main beach. It has a large living room with sofa bed, parquet, TV, WIFI, bluetooth speaker, toys for children, separate kitchen with table and 4 chairs and fully equipped (dishwasher, nexpresso coffee machine, toaster, juicer, microwave) 1 bathroom.Air conditioning in dining room and in the bedrooms area. 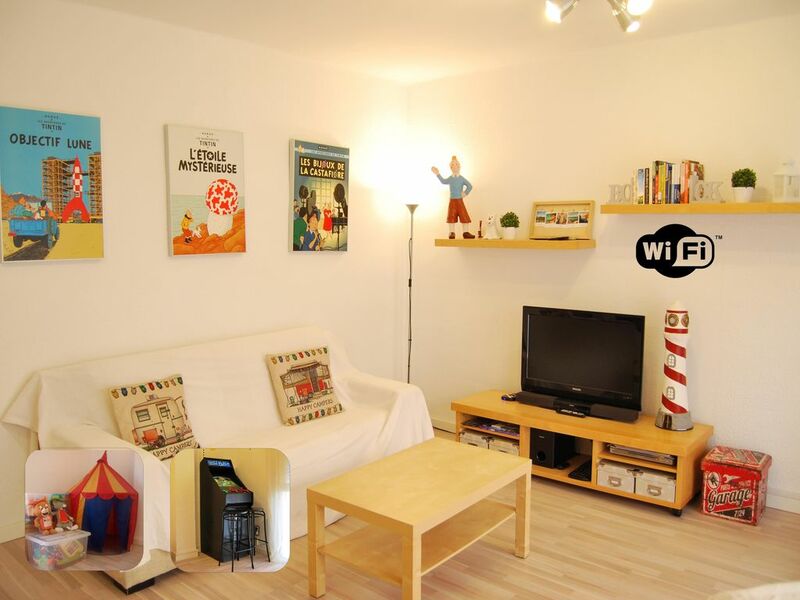 "Good size, clean accommodation and centrally located in cambrils. My only down point was not having pool available, but I was aware of this when booking." Cambrils Port is the quintessential tourist area of Cambrils Marinera population. it will find many restaurants, where fish and shellfish are the main course. in the village of Cambrils there are several restaurants with Michelin stars internationally recognized. Cambrils has a wide variety of tourist attractions, museums, parks, bike rides, beautiful beaches, boat trips or sailing, shopping, etc. ..
Cambrils is ideal for families traveling with children, as there are no crowds and the infrastuctura is meant for them.